If you aren't sure what panegyric, immiscible, or Manichaean mean (or if they're even really English), fear not! Turns out nobody else does either. 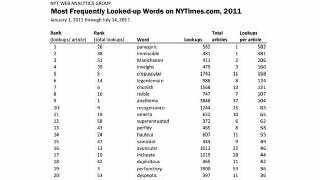 These literary head-scratchers are among the 50 most obscure words used by the New York Times this year.